Babies who live at very high elevations may have an increased risk of SIDS, or sudden infant death syndrome, a new study suggests. The findings are based on nearly 400,000 Colorado infants born between 2007 and 2012. Babies of families living at an elevation of 8,000 feet or higher had a SIDS risk that was more than doubled compared to babies from families living below 6,000 feet. Although the odds were doubled, SIDS was still rare, even at higher altitudes. There were about 0.8 SIDS deaths for every 1,000 infants who lived at the highest elevations. Researchers said the findings don't prove that high altitudes actually contribute to infants' deaths. But they also said it's plausible that the thinner air at those elevations plays a role. "This is a call for further research," said lead researcher Dr. David Katz, an assistant professor of medicine at the University of Colorado, in Aurora. "We wouldn't advocate that people abandon higher elevations based on this study," he added. What's more, he said, even though infants living high in the mountains faced a relatively greater SIDS risk, it was still quite low. Findings from the study were published online May 25 in the journal Pediatrics. Each year in the United States, about 3,500 infants die suddenly, from no obvious cause, according to the U.S. Centers for Disease Control and Prevention. Most of those deaths are labeled as SIDS -- a phenomenon that researchers don't completely understand. However, experts do know that an infant's sleeping environment is key, Katz said. In the 1990s, experts launched public campaigns to encourage parents to put their infants on their backs to sleep, take soft bedding out of the crib, and take other "safe sleeping" steps. Since then, U.S. SIDS deaths have fallen by more than 50 percent, according to background information in the study. Some other risk factors -- like smoking during pregnancy -- have also been linked to SIDS, but researchers suspect there are additional contributors. And the new findings suggest high altitude could be one, Katz noted. But, he stressed, this is the first large study to suggest as much. 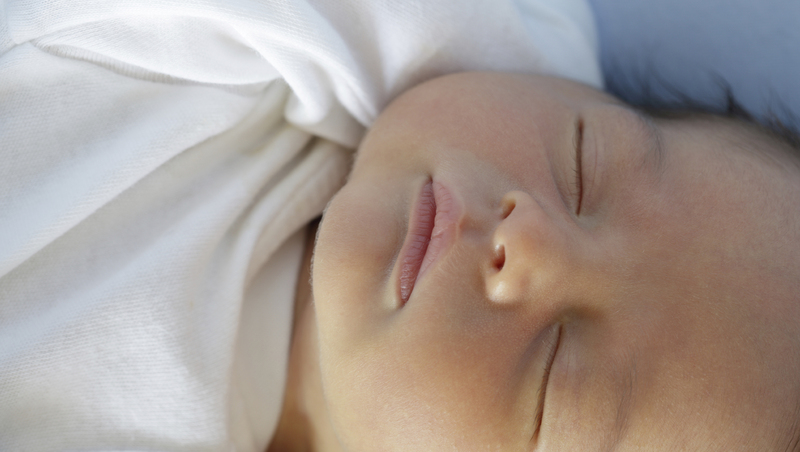 It's important for parents to keep in mind that the odds of SIDS are still low, according to Dr. Marcel Deray, a pediatric neurologist at Nicklaus Children's Hospital in Miami. "The absolute risk is very small," said Deray, who was not involved in the study. "There is no reason for panic." Plus, at least in the United States, few people live at elevations of 8,000 feet or higher, Katz pointed out. Even in mountainous Colorado, only 2 percent of families in this study lived at such heights. Worldwide, however, about 63 million people dwell at those elevations, the researchers noted. Deray added that the findings were "interesting," and that the connection makes sense biologically. Normally, if you aren't getting enough oxygen, the brain will rouse you from sleep. It's thought that infants who die from SIDS have an abnormality in that system, Deray explained. "At high elevations," he said, "there is already hypoxia [reduced oxygen supply]." And that could boost SIDS risk in certain infants who are already vulnerable, Deray said. But that just underscores the importance of safe sleeping practices for all infants, according to Deray. In this study, Katz's team also found that Colorado's overall rate of SIDS fell from almost 2 per 1,000 infants before the "Back to Sleep" campaign, to 0.57 per 1,000 in the years following. Similar reductions were seen at all elevations, the study said. Katz said the best thing parents can do is to learn about the major, modifiable risk factors for SIDS. Deray agreed. "Do the things that we know reduce SIDS risk," he said. "Put the baby to bed on the back, in a crib with a firm mattress, with no soft bedding, or toys, or blankets."